Tunes the grain of skin. 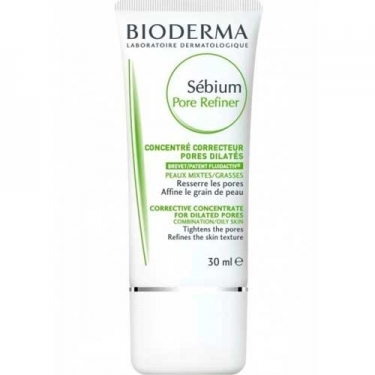 DESCRIPTION: Sébium Pore Refiner from Bioderma is a corrective face care for skin with imperfections. Enriched with the Fluidactiv patent, it regulates the production of sebum, closes the pores and limits the imperfections while refining the grain of skin and returns the luminosity. 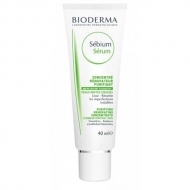 The result is a skin with corrected imperfections and a healthy and luminous appearance. Serves as a makeup base. Hypoallergenic and non-comedogenic. 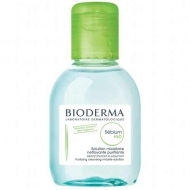 It can be used alone or before the moisturizing care. 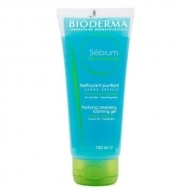 Ideal for oily to combination skin and prone to imperfections.